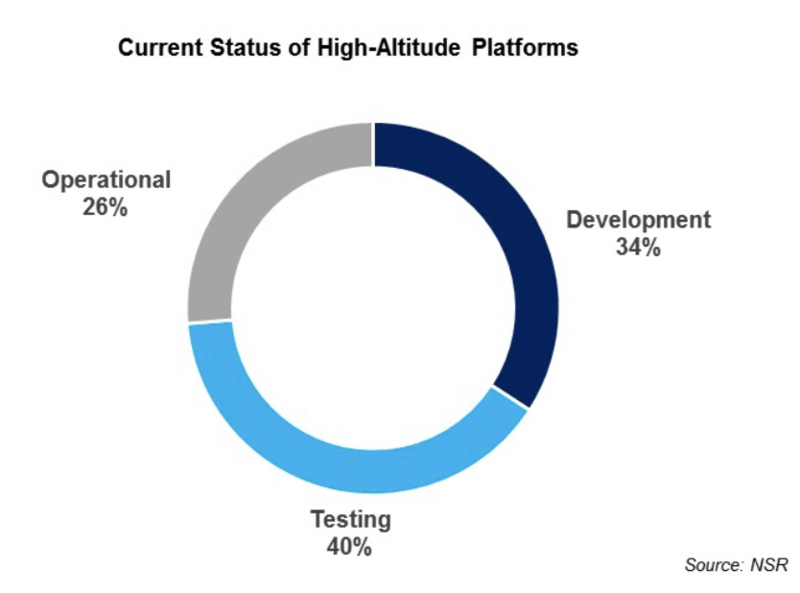 This NSR report offers a comprehensive analysis of the global HAPs market, including projects underway, platforms, applications and growth prospects. 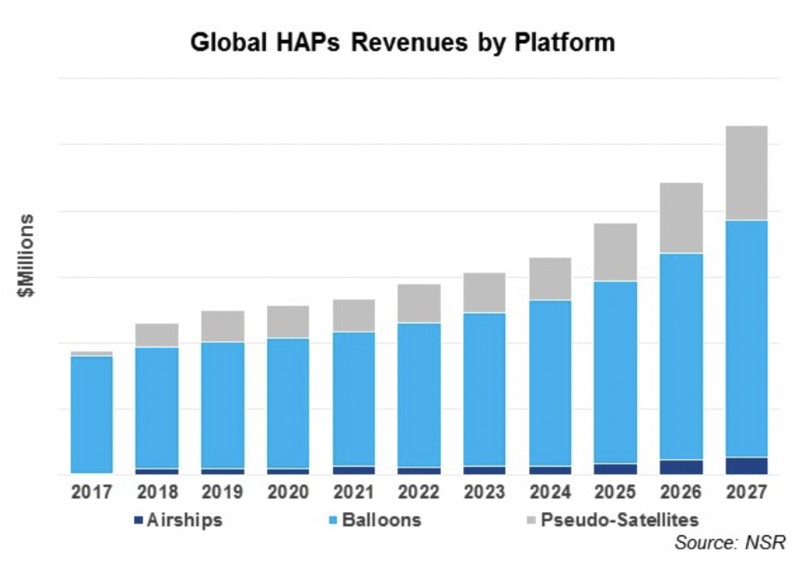 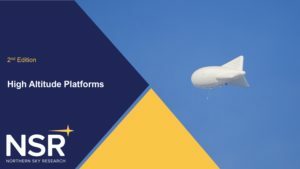 Many space-based and non-space actors have proposed plans to enter the communications, remote sensing and launch markets by using HAPs, such as airships, balloons, and pseudo-satellites. 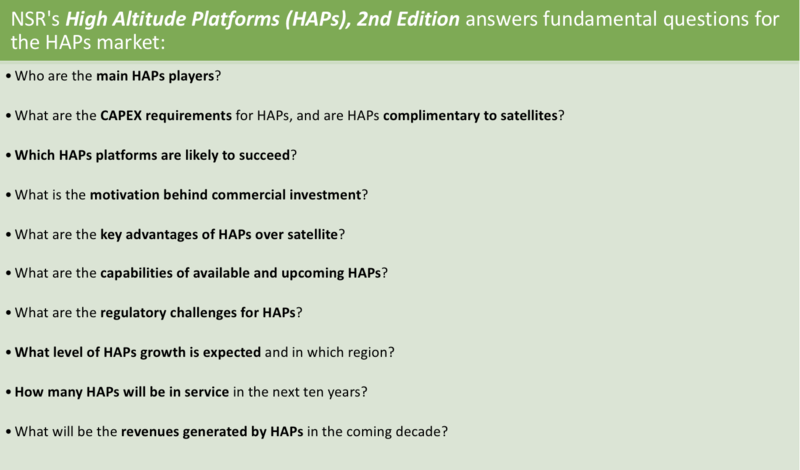 The key drivers enabling this interest are associated to the unique value proposition HAPs bring to the table. 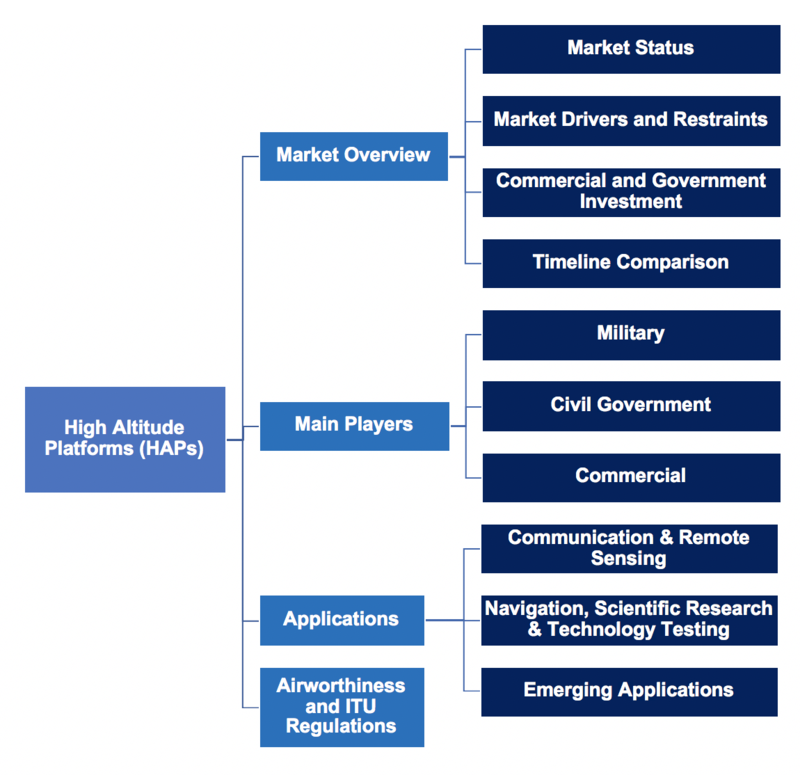 This 2nd edition report leverages NSR’s extensive experience in evaluating satellite and unmanned aerial vehicle markets, to deliver an industry-leading analysis on the current and future state of the HAPs market. 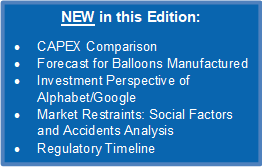 While comparing the development timelines between competitors to help readers better understand HAPs potential, NSR also dives into the regulatory framework and provides clarity on the airworthiness certification requirements proposed and recommended by national and international regulatory agencies. 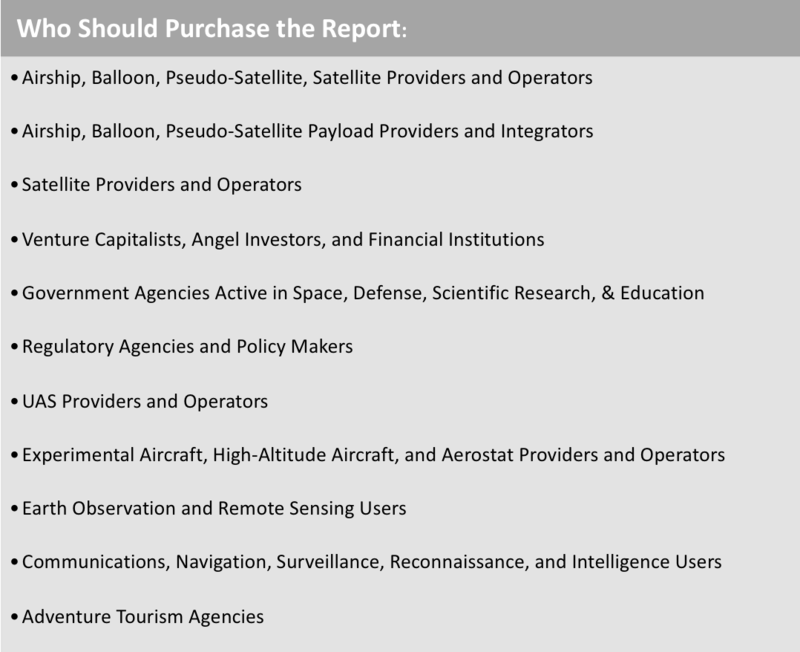 Companies and Organizations mentioned in NSR’s HAPS2 Report: World View Enterprises, Google X (Loon, Skybender), Raven Aerostar, Airbus Defence & Space, Zero2Infinity, Avealto, JP Aerospace, Italian Aerospace Research Centre (CIRA), Lockheed Martin, Thales Alenia Space, ATA Aerospace, CNES, ISTAR Group, LEO Aerospace, KuangChi Science, NASA/ Orbital ATK, Near Space Corporation, Swedish Space Corporation, TIFR Balloon Facility, Xovian, Aerovironment, Armed Forces of the Russian Federation, Facebook, Near Space Corporation and Project Alpha link.